The Annamalai University owes its existence to the vision, wisdom, benefaction and philanthropy of Dr. Rajah Sri Annamalai Chettiar. As early as 1920, he founded the Sri Minakshi College at the temple town of Chidambaram. In 1928, the Annamalai University Act was passed by the Madras State (government) and Sri Minakshi College formed the nucleus of this unitary and residential University. With its rural setting and progressive outlook, the seat of this seminary of higher education came to be called Annamalai nagar after its illustrious Founder. Dr.Rajah Sir Annamalai Chettiar donated to the Madras State (government) a fabulous sum of Rs.20 lakhs and 300 acres of land besides the buildings, hostels, library and playgrounds of Sri Minakshi College, thus paving the way for establishing, the University by the MADRAS PRESIDENCY(Government) in 1929 and the founder was gratefully honoured by the Government with the Pro-Chancellorship of the University. During his tenure of Pro-Chancellorship for a long period of two decades, he took great care of the University and paid devoted attention to its growth and development. Whoever was found an expert in a particular academic field was approached by the Founder and was brought to the University to head the various departments of study. Annamalai University is one of the largest and Oldest State Universities in southern India.It's alumni have gone on to become great Academicians and Researchers in India and Western Countries. The University has had the unique good fortune of having a succession of eminent Vice-Chancellors to guide its destinies. Annamalai University is one of the Oldest and Largest State Universities in the state of Tamilnadu after Madras University. During the last seventy five years the University has grown rapidly and consolidated its position as a unitary and residential University with Forty eight Departments of Study and over 1700 members on its teaching staff. It has the record for most students studied through postal way. Annamalainagar is already a busy and full-fledged University town east of Chidambaram, the abode of Lord Nataraja. The University campus, including the colleges, hostels and playgrounds occupies an area of about thousand acres (4 km²). In 2005, the Annamalai University had opened a small campus in Toronto, Canada. It only provides classes for learning Indian fine arts such as music and dance. Annamalai University, Annamalai Nagar has 103 affiliated Colleges. Click here to explore them. 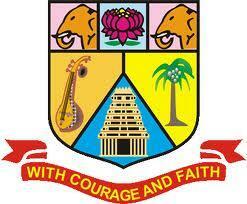 Annamalai University, Annamalai Nagar has 82 Departments listed that offer various academic courses. Are you Interested in studying at Annamalai University, Annamalai Nagar? This page was last modified on 9 March 2016 at 13:03.